Number of African migrants crossing Israeli-Egyptian border halves from May to June; some 4,000 places added to new detention facility for African migrants in country's south. Prime Minister Benjamin Netanyahu on Sunday instructed Defense Ministry officials to expedite the construction of a fence along the Israeli-Egyptian border, emphasizing the importance of curbing illegal immigration. At a discussion held at the Prime Minister's Office on Sunday evening, Netanyahu said, "The goal is to turn the tables, and take all necessary actions to have the number of illegal immigrants that leave Israel be larger than the number entering Israel." Defense Ministry officials said that conversations held last week with the United Nations High Commissioner for Refugees in Geneva clarified that there is no possibility of sending Eritrean migrants back to their country, due to life-threatening dangers that await them there. The officials notified Netanyahu that not one of the countries hosting Eritrean refugees has sent them back to their countries of origin. At the meeting, the Interior Ministry presented data on the number of migrants that crossed the Israeli-Egyptian border during June. According to those statistics, the number of migrants that crossed the border that month halved from 2,031 in May to 928 in June. 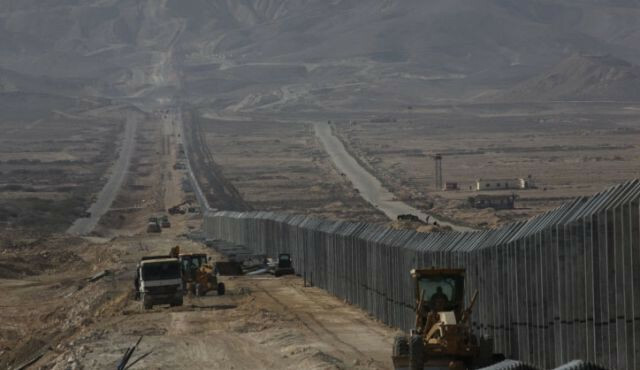 Officials at the Defense Ministry, which is responsible for constructing the fence along the Israeli-Egyptian border, said construction of the fence is progressing at an accelerated rate. According to the officials, the entire length of the barrier will be completed by October, except for 14 kilometers in the area near Eilat, which will be completed in 2013. Also at Sunday's debate, Defense Ministry officials were told that some 4,000 places were added to a permanent detention center for African migrants currently under construction in Israel's south, and that by the end of 2012, the facility is expected to have the capacity to accommodate about 12,000 people. A government-appointed committee on Monday proposed granting official status to dozens of unauthorized settler outposts in the West Bank, challenging the world view that Israeli settlement there is illegal. The non-binding legal opinion, which Prime Minister Benjamin Netanyahu had sought, could be used by the right-wing leader to address criticism at home and abroad of his declared plans to build more homes for Jews on land Palestinians want for a state. Three months ago, his governing coalition drew Palestinian and international condemnation when it retroactively legalized three West Bank outposts built without official sanction. But the panel, chaired by a former Israeli Supreme Court justice who has written pro-settlement opinions from the bench, reaffirmed Israel's long-held view that the West Bank is not occupied territory and that settling Jews there is legal. The opinion, yet to be formally accepted by the government and swiftly disputed by the Palestinians, flew in the face of a World Court ruling that all settlements are illegal because of their location on occupied land. The Israeli committee disputed that ruling, arguing Israel's control of the West Bank does not constitute occupation as no country had sovereignty over the territory when it was captured from Jordan in a 1967 war. "Therefore, according to international law, Israelis have the legal right to settle in Judea and Samaria and the establishment of settlements cannot, in and of itself, be considered to be illegal," it said, using the Biblical names for the West Bank. Jordan captured the West Bank, which had been part of British-mandated Palestine, in the 1948 Arab-Israeli war and annexed it in a move that never won international recognition. Israel has built some 120 settlements in the West Bank. Dozens of unauthorized outposts, which past Israeli governments had pledged to remove, have also gone up in the territory. Palestinians say the enclaves will deny them a viable and contiguous state, a view that has won wide international support. 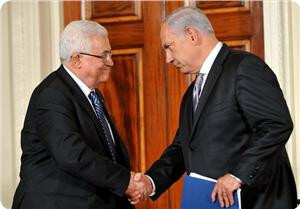 Their peace talks with Israel collapsed in 2010 over the settlement issue. "All settlements are illegal according to international law and international resolutions," Nabil Abu Rdeineh, a spokesman for Palestinian President Mahmoud Abbas, said of the committee's report. "The Israeli government must cease settlement activity and curb settler attacks and adhere to international resolutions if it wants to achieve peace," Abu Rdeineh added. Addressing the issue of unsanctioned settlement outposts, the committee echoed a 2005 government report in determining that they had been established "with the knowledge, encouragement and tacit agreement of the most senior political level". But unlike the 2005 document, which said quiet government support and funding for unauthorized settlements were illegal, the new report recommended expanding them. The time had come, it said, to complete formal "planning and zoning procedures" and to set the "municipal jurisdiction" of each outpost, taking into consideration their growing populations. "Pending completion of those proceedings and examination of the possibility of granting valid building permits, the state is advised to avoid carrying out demolition orders," the panel said. Yariv Oppenheimer of the anti-settlement group Peace Now said the panel had "delivered the goods" for the Israeli right. "The legal world is a wonderful one, just choose a position and you will always be able to find a legal expert who can defend it," he said on Army Radio. "The committee has forgotten that there are 2.5 million stateless Palestinians under Israeli military rule." Committee headed by Justice Edmond Levy says 'Israel not occupation force'; State must 'ease land acquisition for Jews residing in Judea and Samaria'. The Islamic Jihad Movement condemned the latest remarks made by de facto president Mahmoud Abbas in which he defended his negotiation option and peace process with the Israeli occupation state. 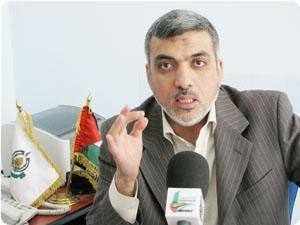 Senior Islamic Jihad official Khader Habib said in a press statement to the Palestinian information center (PIC) Abbas has no option other than his peace talks with Israel, although it never brought any good to the Palestinian people. Habib added that Abbas's latest remarks about his keenness on meeting Shaul Mofaz despite the wide popular opposition would give the occupation more chance to persist in its violations. "Abbas's insistence on meeting Mofaz is persistence in making mistakes and sins because Mofaz is a war criminal and his hands are stained with the killing of many Palestinians and he is also an accomplice in the murder of late president Yasser Arafat," he stated. Senior official of the democratic front Saleh Zeidan called, for his part, for upholding the national consensus on rejecting the resumption of the peace talks with the Israeli occupation until it halts its settlement activities. "Specifying a date for Mofaz's visit to Ramallah is a mistake, and we saw the popular pressure which opposes this meeting and all forms of negotiations with the occupation; we also believe that this meeting and other meeting with Israeli leaders are useless," Zeidan told the PIC. The Israeli occupation authority (IOA) is accelerating building of settlement units in HarHoma and Gilo settlements, Jamal Omer, a Jerusalemite expert, said on Monday. He told the PIC that the IOA was planning to link those two settlements, the first to the south of occupied Jerusalem and the second to the north of Bethlehem. Omer said that thousands of settlement units would be built between the two settlements in a bid to foster a new third settlement in that area and to foil any Palestinian attempt to expand southwards from Jerusalem. Prof. David Kretzmer, an expert on international law, also commented on the findings of the Levy committee, appointed to investigate the legality of building outposts in the West Bank. "If Israel is not an occupying force, it must immediately relinquish ownership of all private lands seized over the years for military use, taken with authority as the occupying force in an occupied territory, and restore the lands to previous owners," said Kretzmer. "I cannot understand how someone claims that Israel is not an occupying force in the West Bank, after over forty years of government petitions to the High Court of Justice, citing authority as an occupying force in an occupied territory," said Kretzmer. The committee, headed by retired judge Edmond Levy, determined that construction in the occupied territories is in fact legal. Lawyer Talia Sasson, who served in the past as the head of the special tasks department of the state Attonery General's office published a report in 2005 concerning illegal outposts in Judea and Samaria, also commented on the findings of the report. "If the Levy Committee is pushing the government to determine that Israel's presence in the West Bank does not violate international law, Israel is in a dangerous position facing the rest of the world," said Sasson this morning to Haaretz. According to Sasson, the Levy committee's report will not be accepted by the government without approval from the state Attorney General. "The state Attorney General is responsible for enforcing laws, and he is forced to follow the rulings of the High Court of Justice on this issue handed down over the last few decades. Without the Attorney General's approval, it does not matter who wrote the report, however lofty their legal position might be," said Sasson. 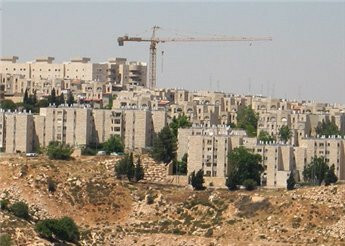 The committee determined that Israel is not an occupying force in the West Bank, and recommended to authorize all outposts without the need for retroactive government decisions, to repeal regulations requiring permission from ranking government officials for each and every stage of the building process, and not to carry out demolition orders. New expert legal opinion published in UK says EU nations can boycott products made by West Bank settlements without violating World Trade Organization obligations. A recent legal brief compiled by James Crawford, professor of international law at Britain's Cambridge University, has ruled that European governments "Are fully within their rights to ban trade with Israeli settlements" in the West Bank. According to a Monday report in the Independent, Crawford's brief may fuel the cause of those within the UK and European Union seeking to harden their position on the imports of settlement products. Various boycott campaigns have been staged against settlement products across Europe and in Britain over the past few years. The brief also states that any EU nation that chooses to impose such a ban "on public policy grounds," will not be in breach of any EU or EC charter articles. Crawford further argues that "by executing such a ban on trade with settlements, the EU would not be in breach of its World Trade Organization obligations since… as a matter of international law, the West Bank and Gaza cannot be considered to be Israel's territory." But Prof. Crawford's opinion rejects arguments suggesting that EU member states are obliged – rather than merely able – to enforce a ban. According to the report, the legalist's brief will be published by the Trades Union Congress later this week. The TUC has mounted a sustained campaign for a ban on settlement trade, but has stressed that its call is distinct from a boycott of Israel itself – which the organization does not support. Brendan Barber, TUC general secretary, told the Independent that "the UK had made a real difference by ensuring supermarket goods from settlements were properly labeled." Barber added that the TUC believes that "Every settlement weakens the hope of a Palestinian state living peacefully alongside Israel"; and that "Governments across Europe agree with this, but they need to move beyond words to practical action." Denmark and Sweden, as well as South Africa, are considering following the UK lead on labeling, while the Irish government has suggested the EU should consider an all-out ban on settlement goods, the report said. 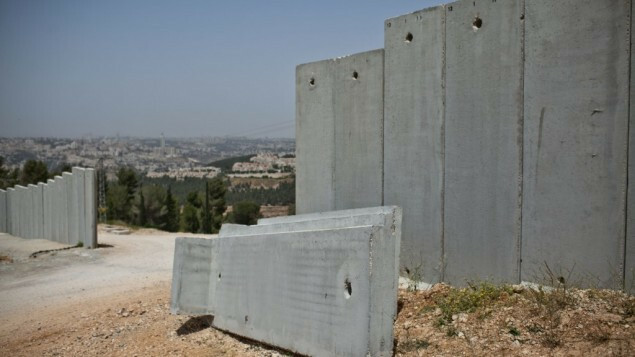 A Palestinian Human rights report warned of the Zionist ongoing and accelerated settlement projects in the occupied West Bank, and the occupation's decision to resume construction work of the apartheid wall around the occupied city of Jerusalem. 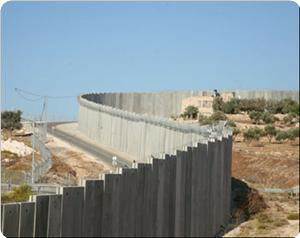 The National Bureau for the Defense of Land and Resistance to Settlements considered, in its weekly report issued on Saturday, that the decision to resume the construction of the apartheid wall, that separates City of Jerusalem from its Palestinian environment and isolates the south of the occupied West Bank from its central and northern areas, represented a new defiance to the International Court of Justice. It noted that the Zionist decision coincides with the eighth anniversary of the resolution issued by the International Tribunal in The Hague on the ninth of July 2004, which included a call to stop construction works of the wall and to dismantle it as it is illegal. 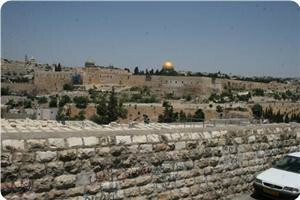 The National Bureau stated that the Zionist government approved since the beginning of this year a number of intensive settlement projects in occupied Jerusalem in an attempt to create new facts under the titles of "Alleged Temple" and "Temple Mount" replacing "Al Aqsa Mosque" and "the Church of the Holy Sepulchre" as religious symbols and landmarks in the city. 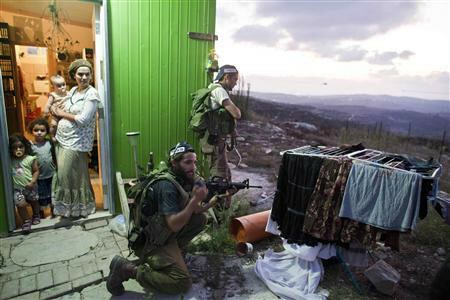 The report also revealed that the occupation authorities intend to implement a plan to establish a military academy on an area of fourteen dunums on the Mount of Olives' land in the east of Jerusalem, in addition to over three hundred new settlement units to expand "Talpiot", "Abu Ghneim" and "Har Homa" settlements in the east and south of the city, as they announced last week. The occupation authorities had also approved a plan to construct an elevator and underground tunnel connecting the “Jewish Quarter” in the Old City and al-Buraq Wall, to the west of Al-Aqsa Mosque, the report added. Political bureau member of Hamas Ezzet Al-Resheq has described as “arrogant” the Israeli decision not to cooperate with an international committee formed to probe the Palestinian people's conditions in light of settlement activity. Resheq said in a statement on Sunday that Israel’s announcement, that it would not cooperate with the committee, displayed its disregard for the international community. The political bureau member urged the committee to pursue credibility and justice in its investigation. Resheq had earlier published on his Facebook page a statement criticizing the Israeli occupation authority’s blackmail of Palestinian children to persuade them to work as informants. The IOA interrogators’ molestation of those children, according to the Palestinian Al-Haq organization for human rights, is a flagrant violation of all international conventions regarding the rights of children in addition to serving as another proof of that “entity’s moral degradation”. The United Nations named French judge Christine Chanet on Friday as the leader of a team of three experts who will investigate whether Israeli settlements in the Palestinian territories violate human rights law. The other team members are Pakistani lawyer Asma Jahangir and Botswana judge Unity Dow. Jahangir has been the subject of human rights cases in the past, having been put under house arrest in 1983 and warned of a plot to assassinate her last month. The UN Human Rights Council launched the probe in March under an initiative brought to the 47-member forum by the Palestinian Authority. Israel's ally the United States was the only member to vote against it. Israel on Friday condemned the investigation. "The establishment of this mission is another blatant expression of the singling out of Israel in the UNHRC," a Foreign Ministry statement said. "This fact-finding mission will find no co-operation in Israel, and its members will not be allowed to enter Israel and the Territories." The council's president, Uruguay's ambassador Laura Dupuy Lasserre, announced the names of the investigators after holding consultations among member states, diplomats said. About 500,000 Israelis and 2.5 million Palestinians live in the West Bank and East Jerusalem, areas Israel captured in a 1967 war. Palestinians seek the territory for an independent state along with the Gaza Strip. On Monday Richard Falk, the UN special rapporteur on human rights in the Palestinian Territories, told a news conference that the acceleration of settlement building had "closed the book" on the feasibility of a two-state solution. "The Palestinian position gets weaker and weaker through time and the Israelis get more and more of a fait accompli through their unlawful activities," he said. "Is it just a delaying tactic that allows the Israelis to expand the settlements, expand the settled population, demolish more and more Palestinian homes and structures and engage in a program that has assumed such proportions that the language of ethnic cleansing is the only way to describe the demographic changes in East Jerusalem?" Ministry of Foreign Affairs of Turkey strongly condemns Israel's issuing tenders for the construction of several additional units in the settlements of Har Homa and Pisgat Ze'ev in East Jerusalem and approval for the construction of new units in the settlement of East Talpiot, adding anew to its settlement activities in the occupied Palestinian territories. We also deplore and strongly condemn the preliminary approval given by the Israeli Ministry of Interior to the plans for moving the National Defense College to a location on the Mount of Olives in East Jerusalem. Such initiatives, harming the historical fabric and character of Jerusalem and aiming at altering the status of the occupied territories are unacceptable. Israel obstructs the revitalization of the peace process and seriously endangers the vision of a two-state solution through its settlement activities persistently maintained in disregard of the reactions of the world public opinion. In this context, the international community should emphasize that the Israeli practices are unacceptable and take the necessary measures to give an end to this stance, severely damaging the peace and stability of the region. Israel should fulfill its responsibilities in accordance with the international law concerning lasting peace in the Middle East and put an end immediately to all its activities destroying the basis for peace. After a five-year hiatus, work is to resume on the West Bank security barrier within a few weeks. The High Court of Justice approved the renewed work in the Gush Etzion and Jerusalem areas on Wednesday after holding a hearing on the issue. 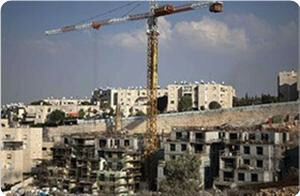 The court also approved work in the Ma’aleh Adumim area, slated to begin in 2013. Started in 2002 at the height of the second intifada and built largely along the Green Line (with some deviations to include land inside the West Bank), the project is credited with helping to reduce terrorist attacks inside Israel. It attracted condemnation, however, from international and domestic left-wing groups. When complete, the barrier, part concrete wall and part fence, is planned to extend 760 kilometers (470 miles), although to date only around 200 kilometers have been completed. On two occasions the High Court has ordered the re-routing of the barrier in response to successful lawsuits from Palestinians who proved their lives were adversely affected by the barrier. The state explained that the building hiatus was due to budgetary concerns. Settlement expansion, enabled by discriminatory restrictions on Palestinians in the Jordan Valley, is destroying the viability of a future Palestinian state, a new report by Oxfam said today. The report, “On the Brink: The Impact of Settlements on Palestinians in the Jordan Valley,” says the Jordan Valley, in the occupied West Bank, has the potential to be the Palestinian bread basket, yet restrictions on Palestinians use of land, water, and on building in the valley are keeping them poor while helping nearby Israeli settlements thrive. By one estimate, the Palestinian economy could gain an additional $1 billion a year in agricultural revenue if the restrictions on Palestinian use of land, water, and mobility in the Jordan Valley were removed. The report shows that Palestinians can use just 6 percent of the land in the Jordan Valley, while Israeli settlers, who account for just 13 percent of the valley's people, have control over 86 percent of its land. Settlements in the Jordan Valley—illegal under international law—have established industrial farms that produce high value crops for sale in markets locally and abroad, and are supported by a range of Israeli government grants and subsidies that facilitate their growth and sustainability. At the same time, the poverty rate for Palestinian communities in the Jordan Valley is nearly double that of the rest of the West Bank as many struggle to make a living from farming and animal rearing without adequate access to land. "Settlements and related Israeli policies, such as systematic demolitions and restrictions on land and water use, are creating a wretched reality for Palestinians in the Jordan Valley," said Oxfam International Executive Director Jeremy Hobbs. "The government of Israel has an obligation to keep all people safe, but such excessive restrictions on Palestinians inside the West Bank would not be necessary if Israelis were not settling there. These discriminatory policies and practices have pushed more Palestinians into poverty and are destroying the prospects for two states living side by side in security and peace." The report calls on Israel's largest trading partner and the biggest donor to the Palestinians, the European Union and its member states, to take urgent action to press the government of Israel to immediately stop building settlements and end the demolition of Palestinian structures, including homes, animal pens, water cisterns, and solar panels. The EU has an opportunity to move beyond statements as Jose Manuel Barroso, the current President of the European Commission, is set to visit Israel and the West Bank in the coming days and the highest level meeting between the European Union and Israel , the EU – Israel Association Council will take place later in this month. "World leaders have long been saying the right things, but strong words alone are not helping the Palestinian farmers and herders who live in the Jordan Valley develop their own economy and build the infrastructure necessary for positive community growth," says Hobbs. Oxfam’s call comes on the heels of the European Union’s unprecedented statement, made on 14 May, against demolitions carried out in Israeli controlled parts of the occupied West Bank. Since that time, Palestinians have seen no meaningful change on the ground, as the government of Israel demolished at least 59 Palestinian structures and 34 Palestinian families were displaced when their communities were used as the site for an extensive military training in an area of the Jordan Valley where Oxfam works. Oxfam says the situation is likely to deteriorate further unless action is taken now. 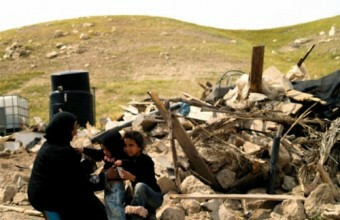 Year 2011 saw a 20 percent rise in new settlement construction across the West Bank as compared to 2010. Over the same period, the number of Palestinians displaced by demolition doubled, with 60 percent of these demolitions carried out in areas close to settlements. The Israeli district committee for planning and building approved a plan to build a military college in the Mount of Zeitoun (Olives) near Matla hospital in the eastern part of Jerusalem. Field researcher in settlement affairs Ahmed Sablaban said the military college would be built on 14 dunums of Palestinian land east of the old city of Jerusalem. According to the plan, the college will include a military academy for army commandership and war administration and special offices for senior Israeli army officers, and it can absorb about 400 military students and 130 academics. Sabalaban affirmed that this plan is part of a broader scheme aimed at moving and establishing government headquarters in east Jerusalem in order to confirm Jerusalem as a capital for the Jewish state. He warned that Israel, through such step, would continue to strengthen its control over east Jerusalem and create further fait accompli on the ground. The Islamic-Christian commission for the support of Jerusalem and holy sites condemned, on Tuesday, the Israeli Judaization plan to establish a military college on 14 dunums in the Mount of Zeitoun (Olives) near Matle’ hospital in the eastern part of Jerusalem, pointing out to the continued Israeli policy to Judaize the city of Jerusalem and its Islamic and Christian holy sites. The commission said, in statement, that the occupation forces practiced an unprecedented measures in total violation to the international laws, conventions, and norms in an attempt to impose fait accompli on the ground, where they aimed to establish military college in east Jerusalem that supposed to be the Palestinian capital city. I am afraid that Jerusalem issue reaches the point of no return where Israel succeeded to occupy Jerusalem, to desecrate Islamic and Christian holy places particularly al-Aqsa Mosque and the Church of the Holy Sepulchre, to establish Jewish settler outpost in Jerusalem and its environs, to complete the apartheid wall, the Secretary-General of the Commission, Dr. Hanna Issa, said, now It is continuing to strengthen its civilian and military control over east and west Jerusalem in order to confirm Jerusalem as a capital for the Jewish state, he added. He urged the international community and human rights institutions and organizations to act seriously to stop Israeli Judaization process in the city of Jerusalem. In the same context, the commission warned against the daily Israeli raids into Al-Aqsa Mosque, denouncing at the same time the selling of 24 housing units built on Aarot settlement few meters away from the mentioned military college. It also pointed out to a broad scheme aiming to Judaize the Mount of Zeitoun (Olives), in addition to approving the build of 180 housing units in the settlement of Talpiot and 171 new housing units in Jabal Abu Ghoneim.